The following recipe makes one mug of steaming hot cocoa. 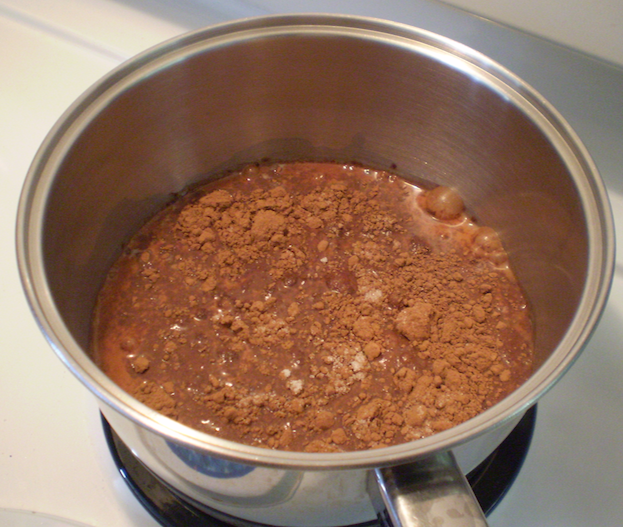 Milk with cocoa powder, vanilla, sugar and cinnamon simmering in a pot. Add all the ingredients (except for the marshmallows) into a pot and bring to a boil. Stir often as milk burns rather easily. 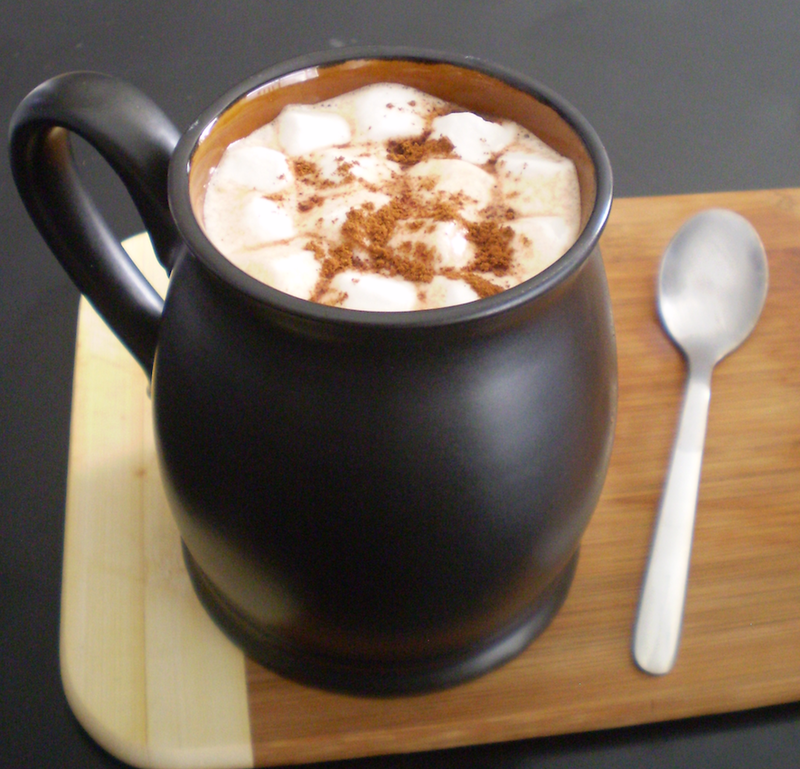 Pour hot cocoa into a big mug. Add in a few marshmallows. Sprinkle a tiny amount of cinnamon on top of the marshmallows. Let cool for a few minutes before taking the first sip. 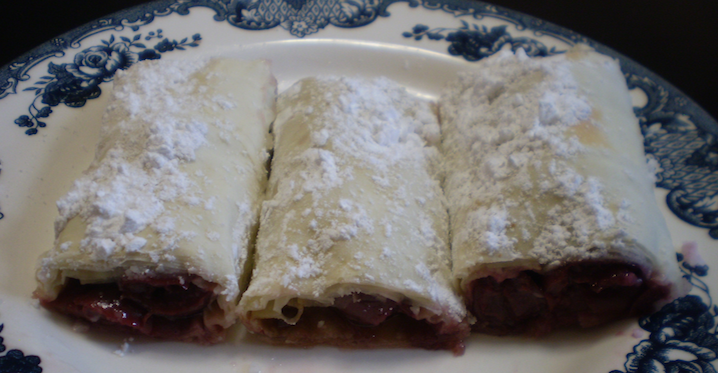 Pita od visnja (Serbian style sour cherry strudel). 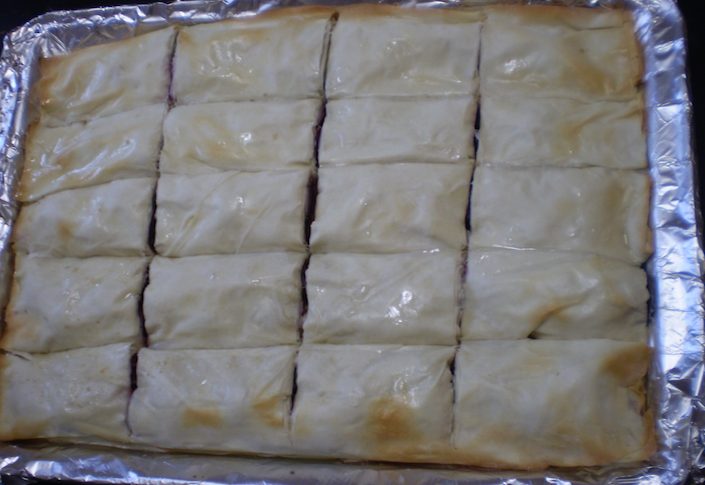 Pita od Visnja is a Serbian style cherry strudel. It is traditionally made with pickled sour cherries and phyllo. 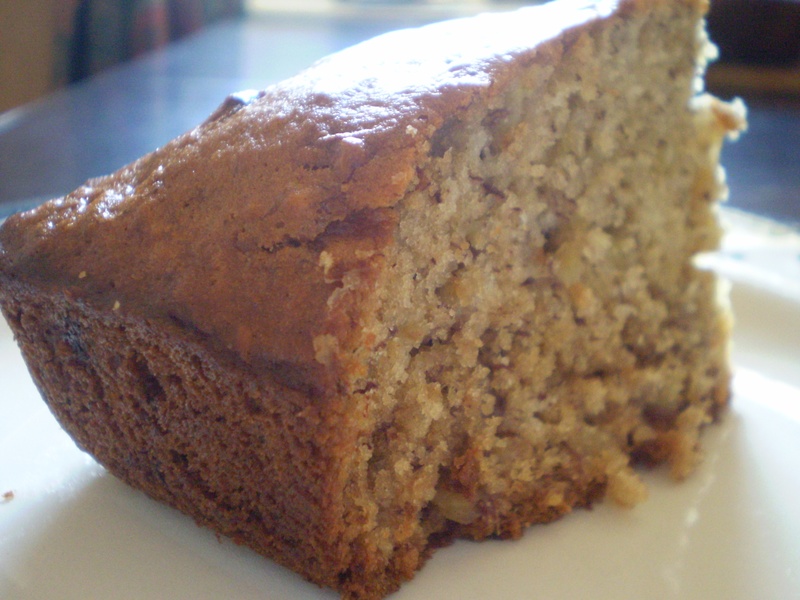 Thank you to Lillian for sharing her recipe. 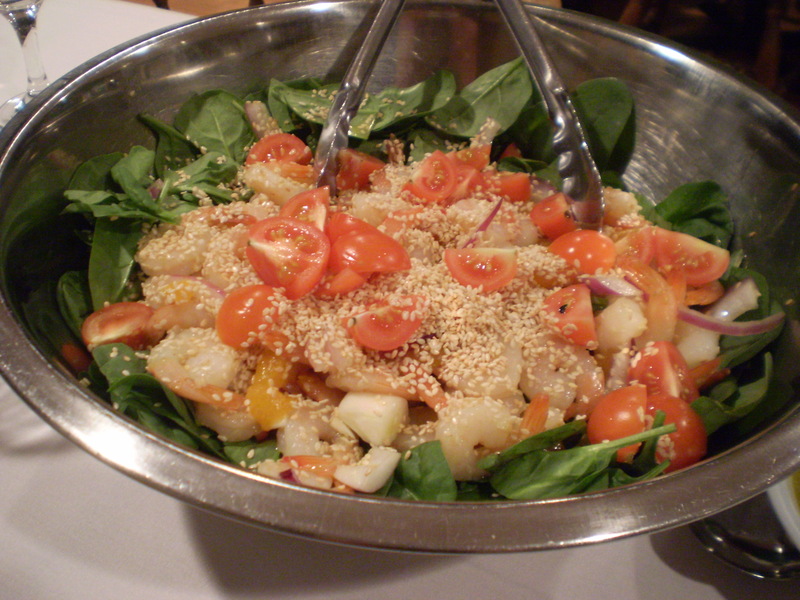 Line a baking pan with parchment or aluminum foil. Spread a thin layer of oil onto the foil or parchment. 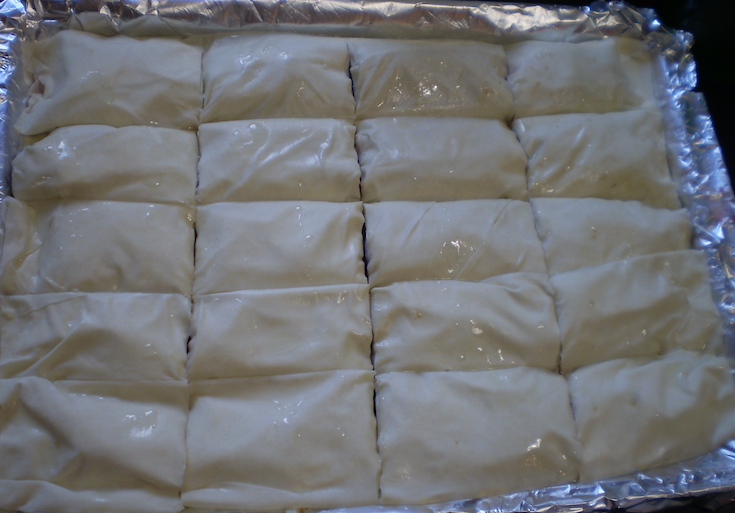 Unwrap two sheets of phyllo and lay on top of the baking dish. 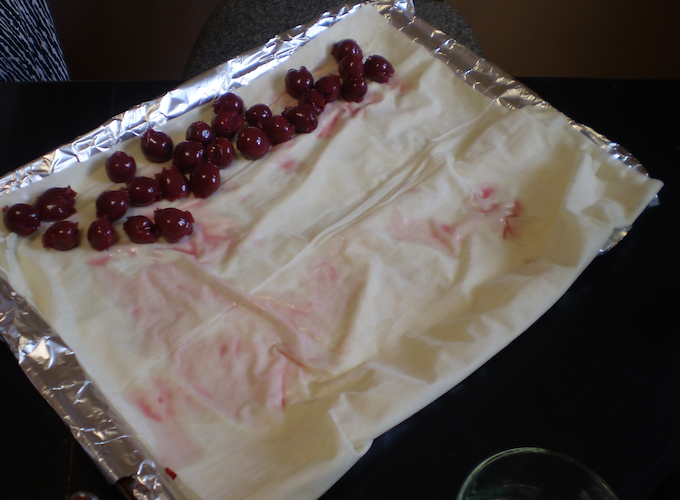 Place a few cherries (10 to 15) near the edge of the phyllo length wise. Sprinkle 2 to 3 tbsps of brown sugar over the cherries. Sprinkle 2 to 3 tbsps of bread crumbs over the cherries and brown sugar. 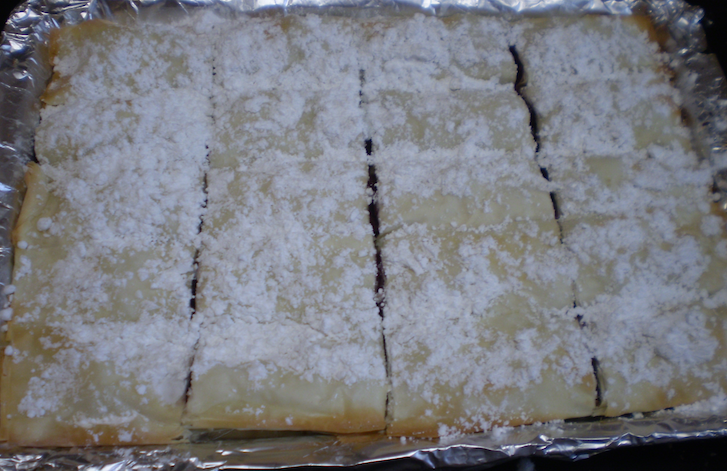 (The bread crumbs will absorb the liquids that are released from the cherries during baking and prevent soggy pastries.) Roll the phyllo closed and tuck in the edges. Repeat until baking sheet is full or the cherries run out. Pita od visnja unbaked and uncut. Precut pita od visnja, ready for the oven. Drizzle oil over the top of the phyllo and also sprinkle about 1 to 2 tbsps of carbonated water on top of the phyllo. 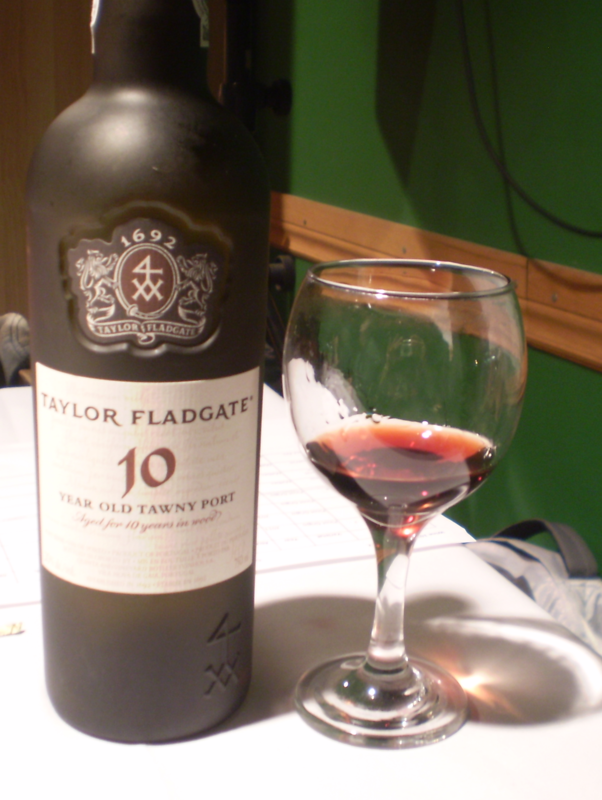 This helps the phyllo to puff up. If so desired, cut the phyllo (almost to the bottom) before baking. 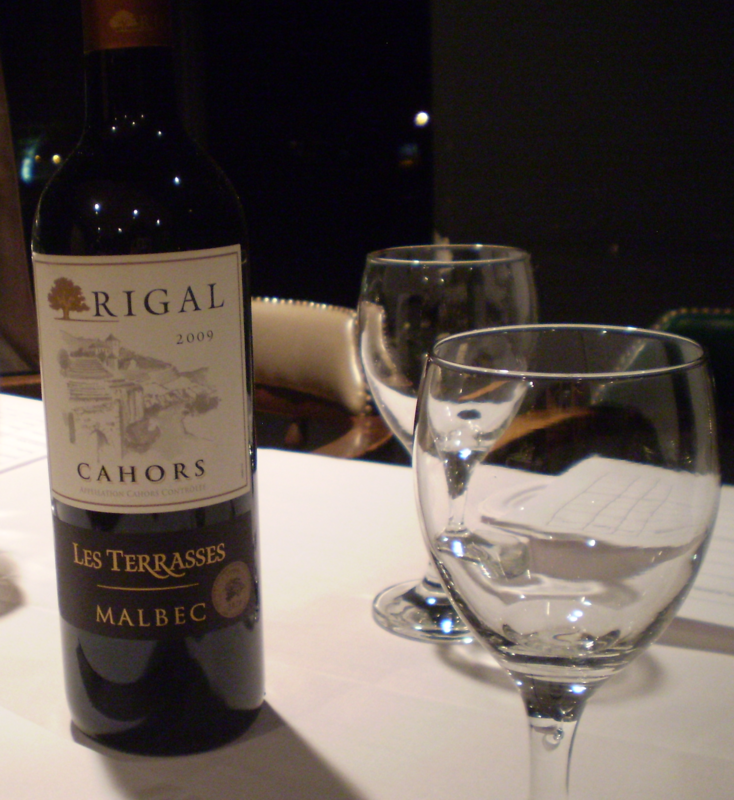 This will help separate the pieces during serving. 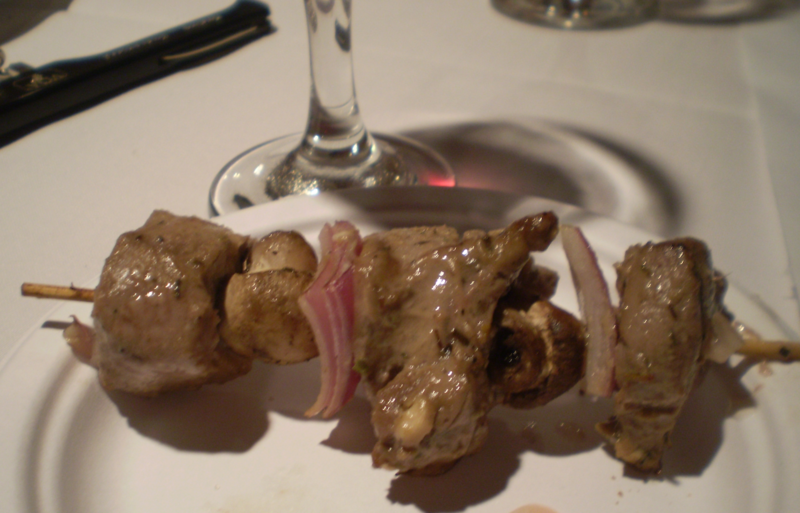 Pita right after it has been removed from the oven. Leave in the oven for 2 or 3 more minutes if you like your pita od visnja more golden brown and crispy. Bake in a preheated 400 ºC oven for 10 to 12 minutes. 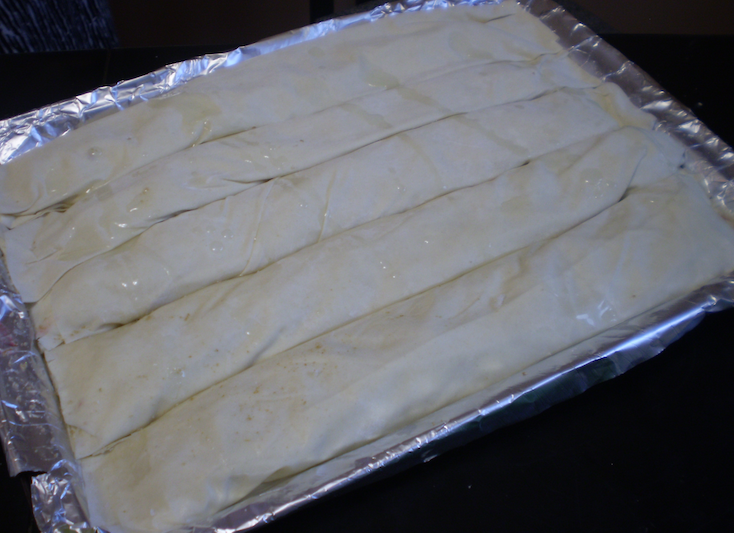 The phyllo will begin to brown near the edges. Leave in longer if you prefer extra crispy golden brown phyllo. 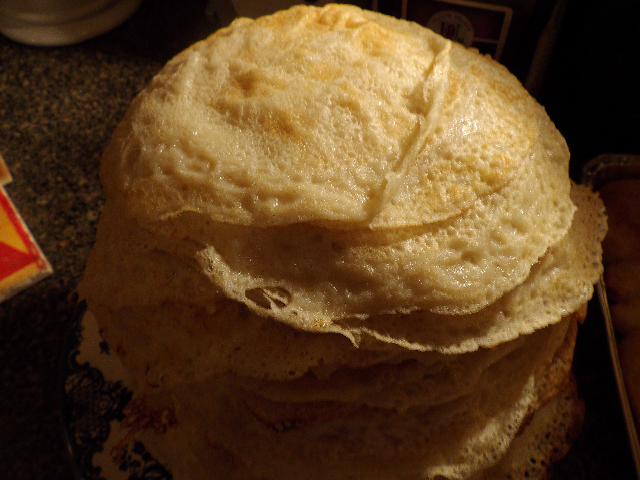 Immediately after removing from the oven, dust a generous amount of icing sugar over the baked pita. Let cool for a few minutes before separating pieces and serving. 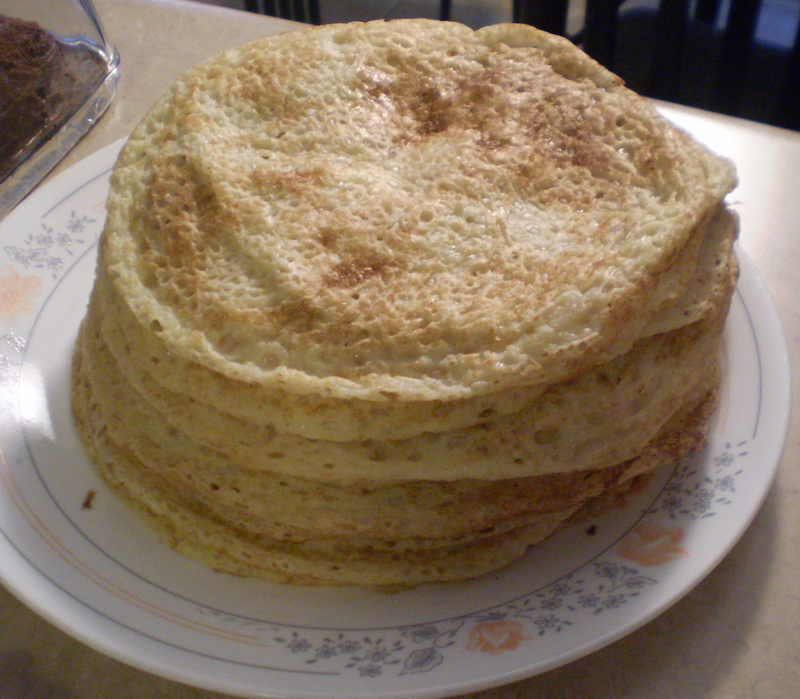 A generous dusting of icing sugar over the pita. TIP: Work quickly as phyllo sheets dry out quickly. A bowl of fresh sliced strawberries, sweet plums and kiwi. Try to use the freshest sweetest (and if possible organic or farmer’s market) fruits as they are the star attraction and should be of the best quality. 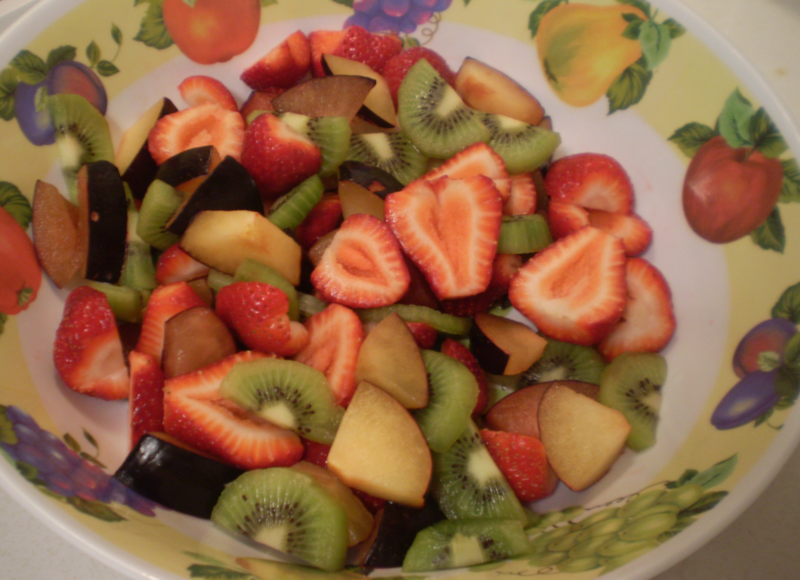 Mix the strawberry, kiwi and plum in a large bowl. Chill for a couple of hours so the flavours have some time to meld. If desired, add a drizzle of honey before serving. I like the combination of sweet plum and strawberries with the slightly sour kiwi. It is also a lovely colour combination. 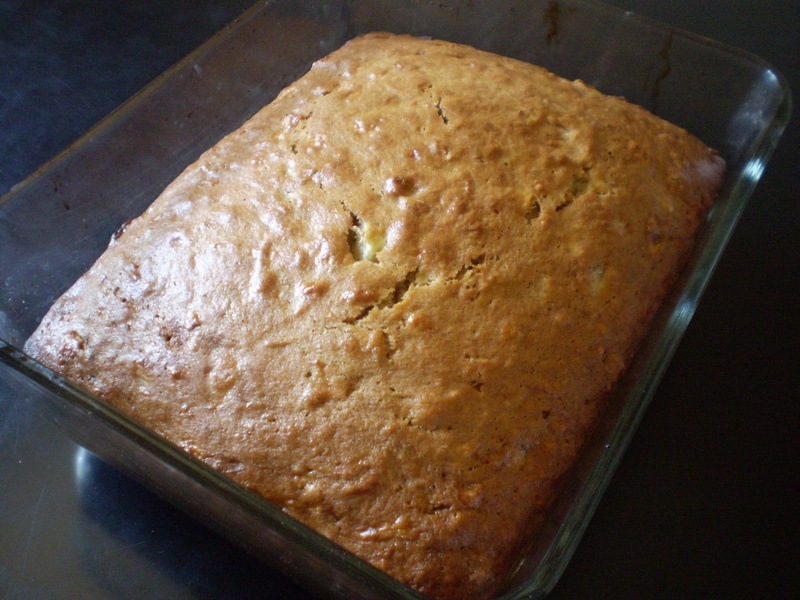 A slice of banana bread. 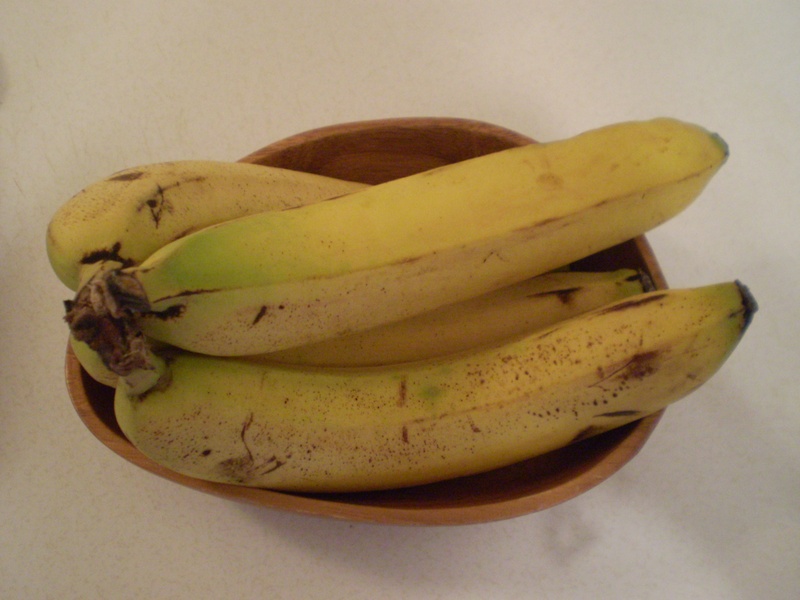 four ripe bananas, peeled, sliced and mashed in a large mixing bowl. 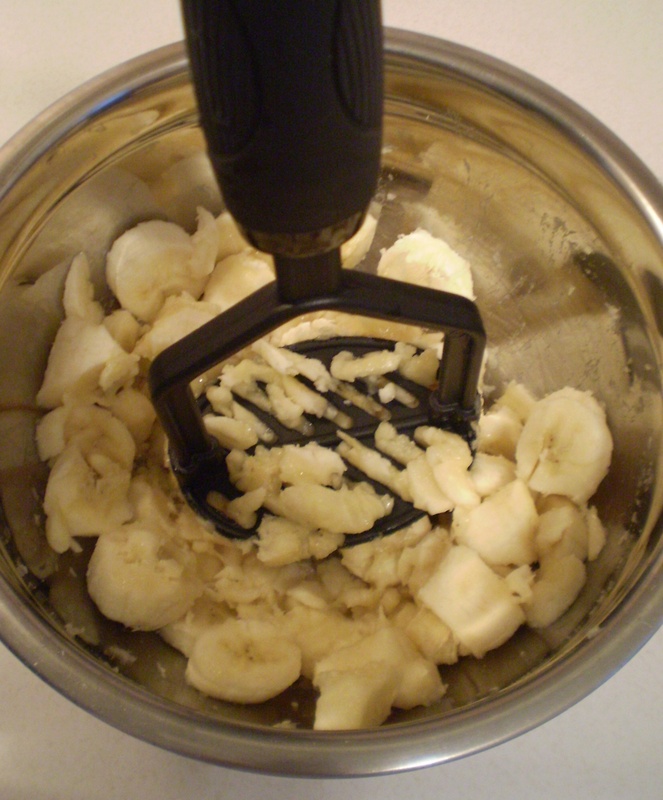 TIP: use a potato masher to mash the bananas; if you don’t have a masher, a fork is fine, too. Four bananas. These should be ripened some more before using to make banana bread. Using a potato masher to mash the bananas. Into the banana bowl, add in the butter, egg, vanilla and sugar. In a separate bowl, mix the baking soda, salt, cinnamon and flour. Gradually add the dry ingredients into the wet ingredients. 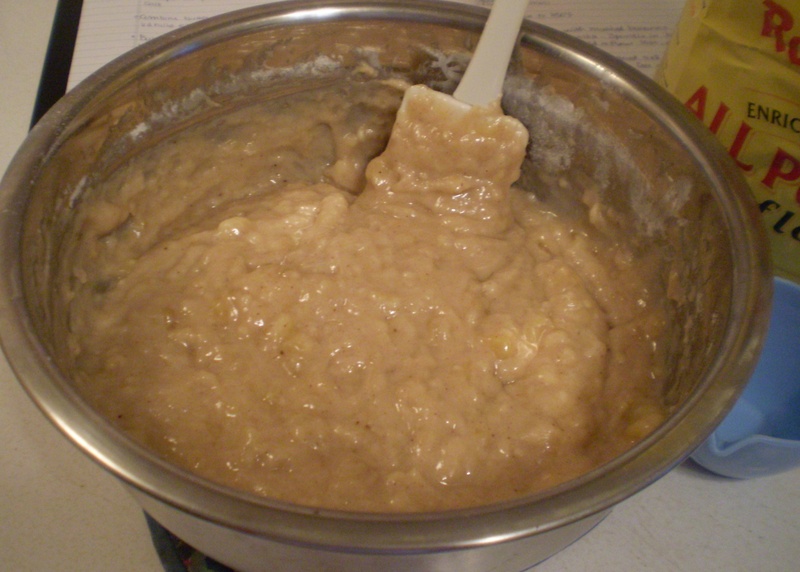 The batter will be thick and have a caramel-like colour. 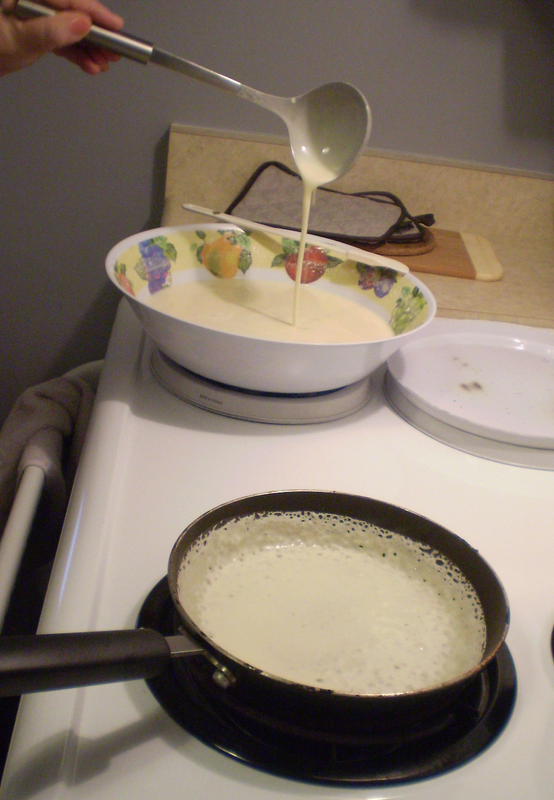 Pour the batter into a buttered 5 by 6 inch baking dish. Bake for 45 minutes in a pre-heated 350° oven. Cool before serving. 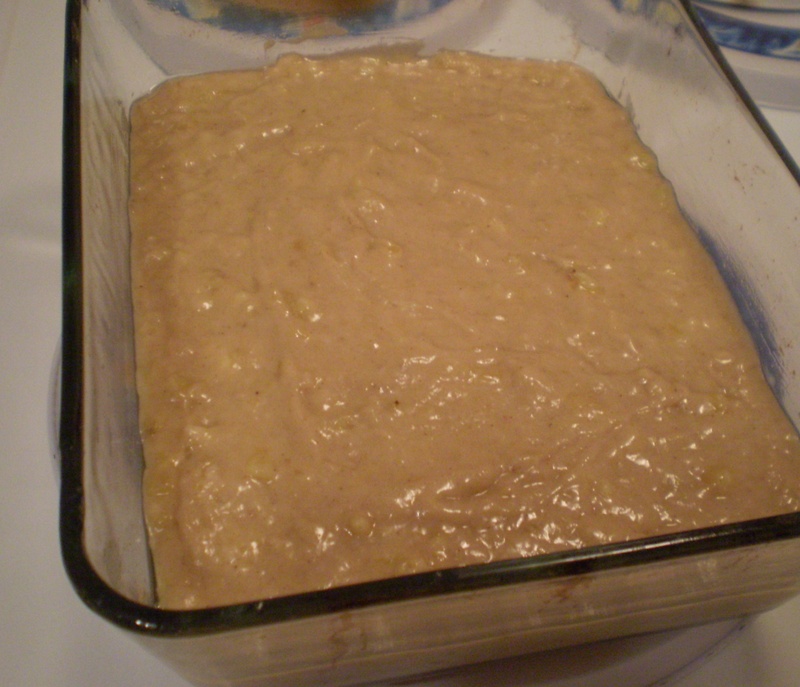 Batter poured into a buttered baking dish, ready for the oven. After the batter has been baked for 45 minutes. It's now banana bread.